When you contact us for a canine inspection, our team will inspect your home or building quickly to detect the presence or absence of bed bugs. Our process is much quicker and less invasive than a human inspection and will leave you confident of moving forward with bed bug treatment, or relieved that your home is not infested! Our bed bug sniffing dog, Magic, is trained to accurately detect the presence of any level of bed bug infestation – from as small as a single live bed bug or egg in a mattress, to as large as an entirely infested Hotel building. Magic is over 97 percent effective in detecting the presence or absence of bed bugs. Why Use Bed Bug Sniffing Dogs Like Magic? We use detection dogs because they are the most accurate tool for confirming early bed bug infestations and can inspect multiple apartments and rooms in a fraction of the time that we can using solely visual inspections. 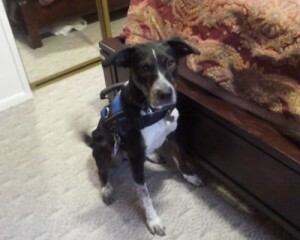 Magic was trained at IronHeart High Performance Working Dogs in Shawnee, KS. IronHeart is one of the top dog training facilities in the nation (for Police Dogs, Bomb & Drug Dogs, Personal Protection Dogs, Bed Bug Inspection Dogs, and more). Studies have shown that visual inspections alone using a well-trained technician offers only a 30-35 percent chance of accuracy. In comparison, a well-trained detection dog has up to 97 percent accuracy rate. Our bed bug sniffing dogs are trained twice daily to keep up their keen sense of smell. The daily training ensures the dogs will only alert on live bed bugs and no other pests. Bed bug inspections include a visual inspection and the canine inspection. The dog will “alert” if there is an infestation. We believe, in order to provide the best solution for our customers, that we need to assess the size and scope of an infestation before any treatment is prescribed. Tracking dogs follow a biochemical trail of dead skin cells, sweat, odor molecules, and gasses. 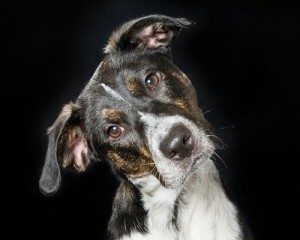 For dogs, a scent article is like a three-dimensional “odor image” – much more detailed than a photograph is for a person. Multiple Odor Discrimination: Dogs can easily learn as many as ten odor discriminations. Detection Dogs have been used for years to find bombs, drugs, and each dog is required to undergo months of training in order to obtain the necessary skills. Bed bug dogs require daily training to keep up the skill needed for bed bug detection. Daily training is referred to as calibration or calibrating the dog. Bed bug dogs need to be trained each day to be able to discern between live and dead Bed bugs and other pests to help prevent false alerting. 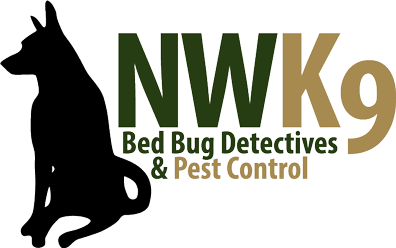 For more information on our bed bug dog inspection methods, please do not hesitate to contact us! Watch IronHeart High Performance Working Dogs’ Video to find out more about where Magic was trained!